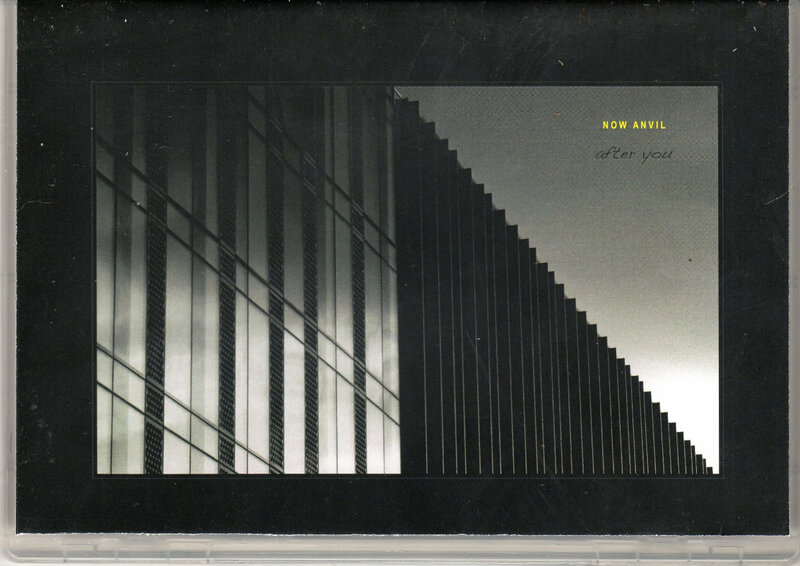 Splendid CDR of home-made DIY noise from Now Anvil, an English duo comprising Tristan Partridge and Stewart Morgan. Their After You record contains two long sprawls of messy din, one of them a documentary recording of a live set in Glasgow 2006 (their debut, in fact), the other one assembled from separate recordings. Both of them feature the sort of elements that make life worth living – electrical hum, throbbing patterns and pulses, feedback both controlled and uncontrolled, junkyard clatter, and suchlike – everything piled up in heaps of disordered non-musical shapelessness that invite the listener to wander around an imaginary environment and pick up whatever they can from the flotsam and jetsam. In the enclosed letter, Now Anvil claim to be a “noise duo – for want of a better name”, and one can understand the desire for qualification. After all the term “noise” is guaranteed to divide listening audiences these days, and there are so many splintered variations that pass for coin of the realm that we can rarely find any common ground or consensus. I’d be safe in saying however that Now Anvil are some way from embodying “harsh noise wall”, and if your preference is for something less alienating and less likely to leave you with scoriations gouged into your beautiful skin, then this sort of human, approachable, fuzzy and unkempt burbling is likely to appeal to you.